As we developed our research into the giving of ordinary people: who gives to whom, how, and why , we had to understand the process of giving in the African context. As a result, we developed the quadrant model. This model helped us design the study, and helps others do their research. In order to examine the viability of individuals as a donor base for civil society organisation (CSOs), this study focuses on the full spectrum of giving behaviour at play in one South African province, Gauteng. This focus allows us to generate a broader overview of the giving landscape, and to locate individual giving to organisations within it. To better understand the relationship between CSOs and giving, we first considered individual giving as a marketplace of preferences and possibilities, into which we could see where giving to organisations fits in. We also took a further step, to drill deeper into the ‘how, what and why’ of individual giving to CSOs. As detailed in the conceptual framework below, we planned a study that framed giving and volunteering within a South African culture and context, capturing the full diversity of giving expressions. 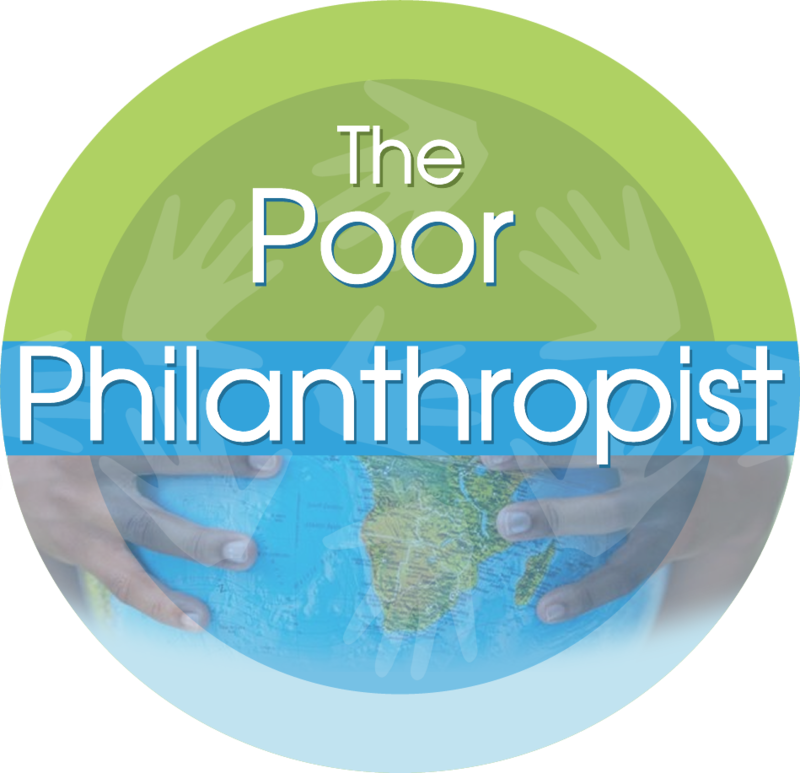 To meet this requirement, we developed the quadrant model of African giving. 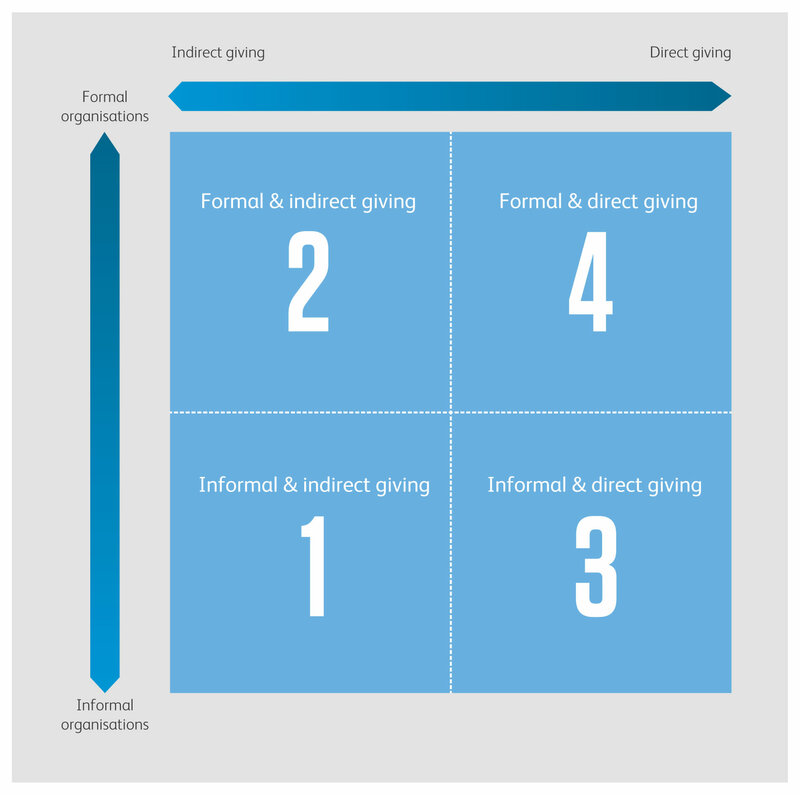 The two axes illustrated below generate four quadrants that capture a diverse landscape or universe of individual giving behaviour.